Zarfeen is a licensed medical aesthetician, with more than 20 years of experience – 14 of which have been in Dallas. With a keen interest in health and beauty, Zarfeen began her studies of skin care in Vancouver, British Columbia. Over the years, she has continued to study and become certified in a variety of services that promote the highest quality of skin care. With her extensive experience and training, she offers a full line of services to the Integrated Center for Oriental Medicine clients. She is certified in the Renee Guinot skincare line with which the Integrated Center for Oriental Medicine has long been affiliated. Using these exclusive products, Zarfeen customizes facials to suit each client’s special needs – include hydration, age management, rejuvenation, clearing acne, or to pure indulgence and relaxation. All facials include a detailed skin analysis and recommendations for a program of home care. 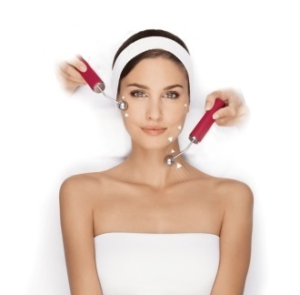 As a certified medical esthetician, Zarfeen incorporates the Dermaquest skincare line to do mid-depth chemical peels. The mid-depth peels penetrate beyond the outer layer of skin, the epidermis, and repair damage to both the inner and outer skin, in effect tapping to the source for healing and restoration. These aesthetic treatments combined with the other services offered at the Integrated Center for Oriental Medicine, utilize the restorative ability of acupuncture, and natural acupuncture face lift is further enhanced by a Hydradermie “Lift” facial. Other aesthetic services provided at the Integrated Center for Oriental Medicine are threading (an ancient method of facial hair removal), waxing, dermaplanning, lash and brow tinting. These optimal services will save time with daily beauty rituals. Each treatment is tailored to your needs and desires. We believe you will find our program of Integrated Care will provide you with some of the best Therapeutic Skin Care available in the DFW Metroplex.